Loving the look of this stuff Tom. Great colors. 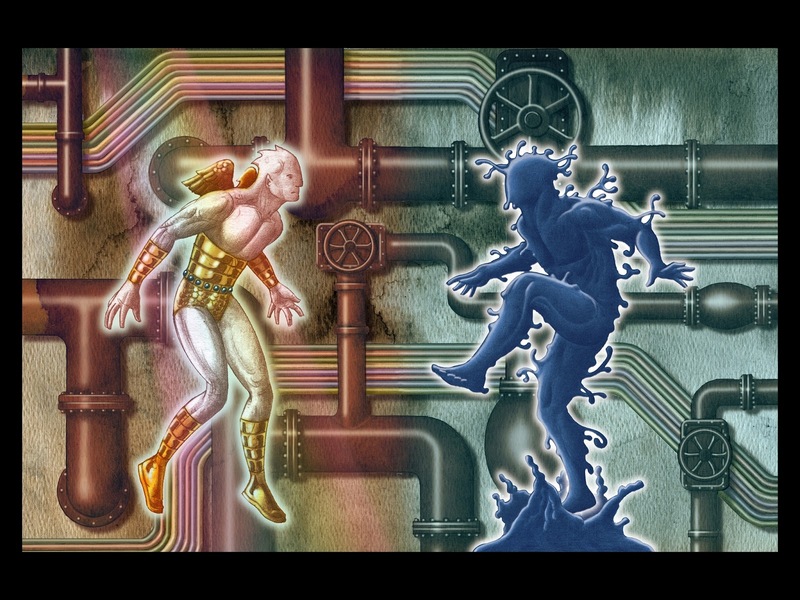 Combat between god like entities. Holy Fletcher Hanks. Love it. Can't wait for more. Nose to the grindstone. I like all the wiggly stuff coming off the dark guy. Exquisite! Just too beautiful, Tom!